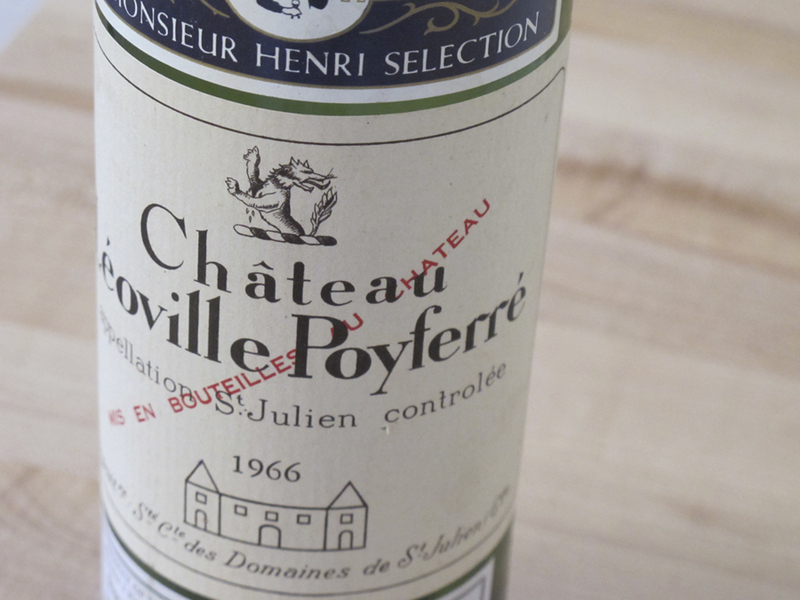 Wine, opened 10.29.11, Julia’s Dad brought it by to drink, I made some chicken and potatoes, Chateau Leoville Poyferre St. Julien 1966, it held up well in a cellar for 40-odd years, tasted delicious, yes, soft, fruit, then earth, then cedar, until the end of the bottle when the whole thing went south from too much exposure to the airs of the 21st century. We sometimes make up remarkable words to describe the things we do, eat, drink, make, and imagine. The chicken, unremarkable, but good. The wine has a different vocabulary. Or, for the talk, make up some vocabulary for chicken.